The University of Toronto is launching the first program of its kind in Canada to encourage more applications from black students. The Black Student Application Program (BSAP) will be in place for the 2017-2018 MD program admissions cycle. “The current MD program student population reflects the fact that we aren't attracting many students from the black community. We want to change that,” says Dr. Patricia Houston, vice dean, MD program for U of T's Faculty of Medicine. The black population in the GTA makes up approximately 8.5 per cent of the population, according to the 2011 census, yet it's a community that's under-represented in medical school. U of T medical students train in a large network of academic and community-based hospitals, and health-care sites, which ensures that they are exposed to an extremely diverse patient population. 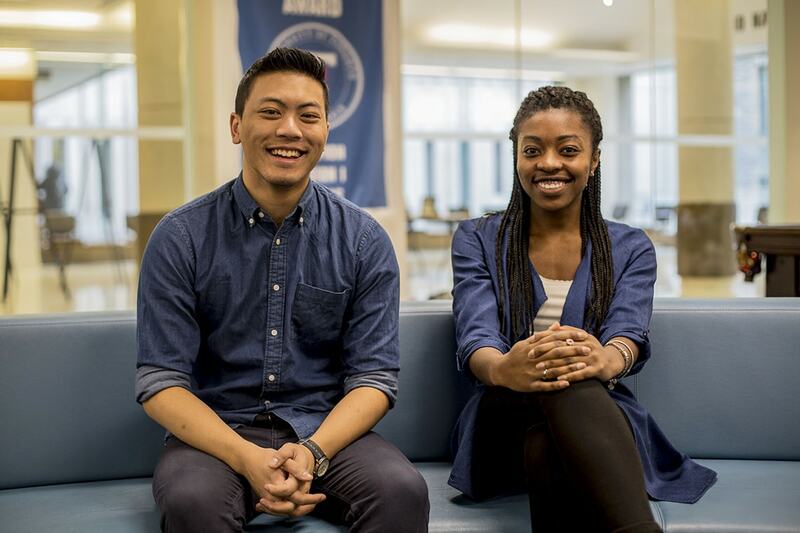 “We are fortunate enough to live in one of the world’s most multi-cultural cities – we need to be prepared to care for the diverse population we’ll be serving as future physicians,” says Yezarni Wynn, first year medical student and class co-president. Research shows that a more diverse physician workforce improves access to care for underserved communities and provides better health care to all patients, including minority communities that face unique health challenges. BSAP is an optional application stream for black applicants who self-identify as Black African, Black Caribbean, Black North American, multi-racial students who have and identify with their black ancestry, etc. BSAP is one component of the Faculty of Medicine’s broader strategy to increase the number of black medical students attending the MD program. Other initiatives include the summer mentorship program and community of support, a collaborative initiative that provides students with black or Indigenous ancestry, as well as students that face economic disadvantage, with access to mentors, job-shadowing, volunteer and research opportunities, medical-school admission information and guidance. This highly successful initiative has seen steady growth in membership since its launch in 2015. Once accepted, students will be supported through the Office of Health Professions Student Affairs and through the recently created position of MD Program Black Health Theme Lead, which focuses on incorporating Black Canadian health issues into the medical curriculum for the entire medical class. The emphasis will be on offering mentorship opportunities and increased visibility of black physician role models. Medicine will offer continued support for student clubs and associations that promote a sense of community for black students, including the U of T Black Medical Students Association. BSAP was developed in consultation with students, faculty, staff, members of the black community and black medical professionals.